The Chinese 22-year-old shooter — who counts seven international gold medals in the Air Rifle event — climbed atop the podium in Munich, prevailing over Russian Federation’s Sergey Kamenskiy and Italy’s Marco De Nicolo, who respectively took silver and bronze. 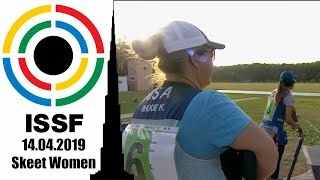 Six months after winning the 2015 ISSF World Cup Final in Munich, Yang secured another gold medal, setting a new 10m Air Rifle junior final world record at the ISSF World Cup in Bangkok. China's 19-year old Yang pockets air rifle world cup title in Munich. Again. He's by far the youngest current world rank leader in shooting sport, and keeps on adding medals to his trophies showcase. Yang Haoran has won all international titles in the last two years, and looks now forward to Rio 2016. Two years ago in Munich, Yang Haoran had won a gold medal. This time he only came away with a fifth place, but he's gone a long way since 2013. 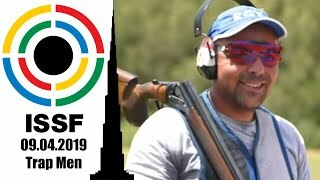 “This is a golden present for my family” the new 10m Air Rifle Men world champion said, after winning the first Gold medal and the first Olympic Quota place of the 51st ISSF World Championship in all Shooting events in Granada, Spain. 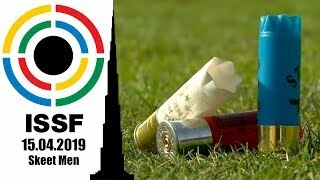 The 18-year old shooter from China turned out to be unbeatable in Munich, today. With a new Final World Record Junior he won the 10m Air Rifle Men final, and walks toward the next Youth Olympic Games as the favorite. Germany is not different from the United States, according to China's Yang Haoran: he won the Gold in Fort Benning, he won the gold in Munich. 2 tries, 2 Gold medals - and 17 years old! Yang: 17-year old new Air Rifle shooting star from China. 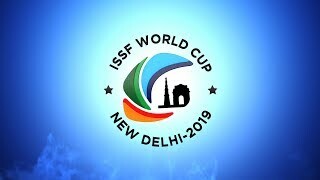 The youngest finalist won the match, securing his second ISSF World Cup Gold back to back. Yang shot an average higher than 10.5 points per shot, to beat Hungary's Wolrd Record setter Peter Sidi. 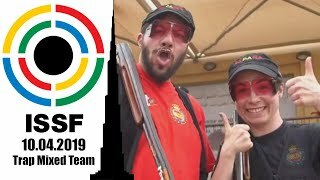 10m Air Rifle Men: what a young podium! Three young guys made up the 10m Air Rifle podium at the ISSF World Cup in Fort Benning. The youngest, China's Yang Haoran, is just 17. New athletes are facing this Olympic Cycle! With an average age of the medallists of 21 years, today’s 10m Air Rifle Men podium will probably be tagged as one of the youngest ISSF World Cup podiums ever.